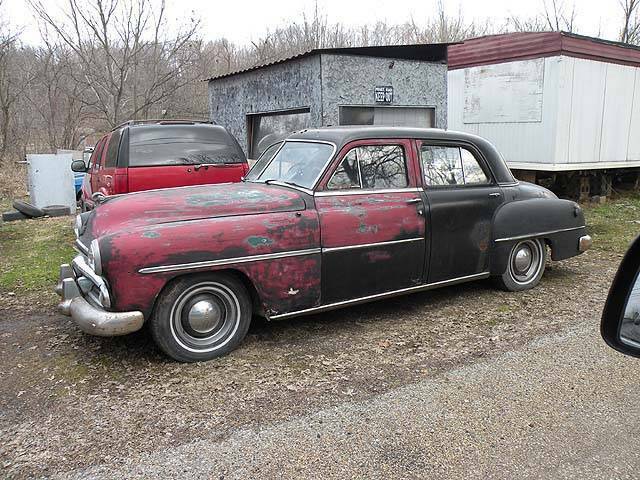 1950s Sedan Photo Picture Classic Cars for sale & Classifieds - Buy Sell Classic Car & Classic Truck Classifieds. 1950s sedan with just the right amount of paint missing. hey kingofthings. I bet you wouldn't mind doing that for him just once again? We sure live in our memories. My Dad had two '54 Savoys. The first lost the trans and I had to push him in and out of parallel parking twice a weekday in a very busy city for months! I was a lightweight, slim, pre-teen! Even in snow and ice!!!!!!! REALLY Dad!!!! --- R.I.P Dad. I agree, this one's a driver, and someone is doing bodywork. Reminds me of my 53 Plymouth a few years ago. Dodge Ram. Looks like a runner.